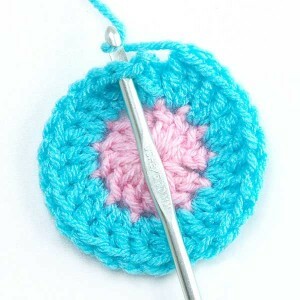 Here are two quick tips worth learning and adding to your crochet tool box! 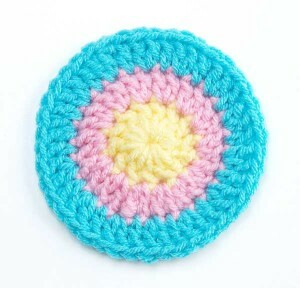 The place where you begin and end new colors in the round can leave an unsightly area and mar your beautiful crochet project. These two simple techniques can make all the difference! When rounds are begun with ch 3 and finished with sl st in top of ch 3, the beginning and ending are visible. Can you see the difference between these two circles? One has visible joinings, and the other does not. Here’s how it works: begin a round with a dc instead of ch 3, make loop on hook, yo holding loop with your thumb if needed, insert hook in st and pull up a lp. (Yo, pull through 2 lps on hook) 2 times to finish dc normally. 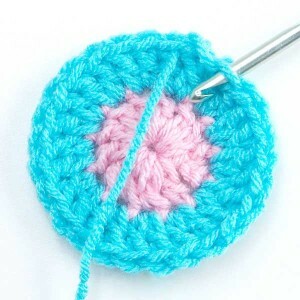 To create an invisible join, after working last stitch, do not join. Cut yarn leaving about 8 inches; pull yarn end completely through removing loop from hook. 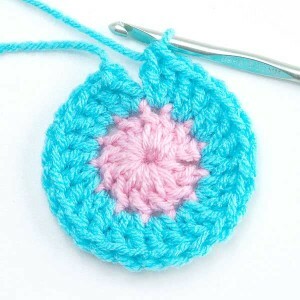 Insert crochet hook from back to front between the top two loops of last stitch worked in rnd; pull yarn through. 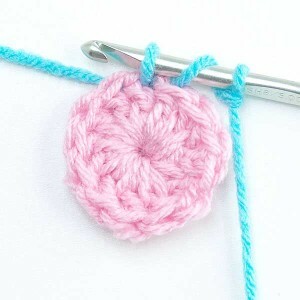 Adjust tension on the yarn to create a join that is the same size as the top two lps of remaining stitches. Voila! Your invisibly joined round is now complete. Take yarn to back of work and weave in end securely. 12 Responses to A Better Way! Begin and End Like a Pro! Very good tutorial ! Thank you. I’ve never heard of that technique!! Love it! Thank you! Wow, I love these techniques! I always had trouble with joining rounds. THANKS for posting this! 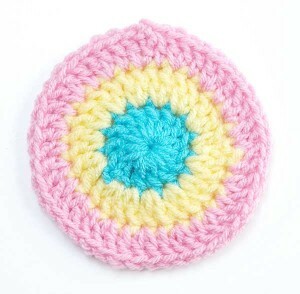 Thank you, I’ve been crocheting for 50 years (in Australia) and have never seen these fantastic techniques. I’ve always hated being able to see where rounds start and finish. Thank you again. Thanks for the great tutorial.. 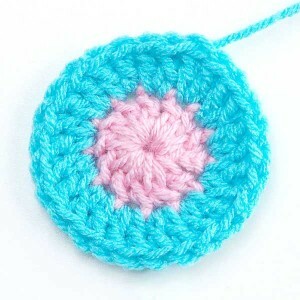 But would this be practical to do on every round if I’m working with the same color? Or is this only for changing colors? Sandra, you are right, this is not very practical when working with just one color. This is what I do to avoid the unsightly join at the beginning of a round in the same color: I do the beginning chain as normal and make my first stitch in the same stitch. When I come back around to join, I skip the beginning chain and join to the first stitch which hides the beginning chain and creates a seamless look! Hmmm, I think this might be a good blog post! I learned a lot from you today!!!!!!!! I love the finishing techniques. Thanks!